Acne can be particularly frustrating for adults. A treatment that worked well during your teen years can be useless — or make acne worse. Some adults continue to get acne well into their 30s, 40s, and even 50s. It is also possible to get acne for the first time as an adult. 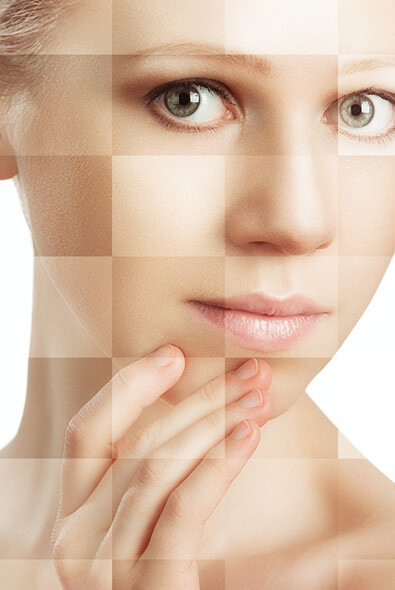 The two main causes for adult acne are hereditary factors and hormone fluctuation. Inflammation and naturally occurring bacteria can also contribute to exacerbate the acne. Inflammation causes a chain reaction of redness, swelling and irritation, and eventually will cause the follicle walls to become damaged. Debris, including bacteria, will move into the dermis. White blood cells arrive at the site of the rupture and release enzymes to dissolve the debris in the lesion. These enzymes affect the follicle lining, which causes more inflammation, swelling and discomfort. The enzymes even destroy collagen, potentially resulting in post-acne scarring. There are two types of acne lesions: inflammatory and non-inflammatory. The two prominent types of inflammatory acne lesions are papules and pustules. Non-inflammatory lesions are open or closed comedones that are not red or inflamed. Open comedones are commonly referred to as blackheads, and closed comedones as whiteheads. More serious forms of acne include nodules and cysts. A nodule is a very deep lesion, similar to a papule, only deeper in the dermis, and has the ability to reach the subcutaneous layer of the skin. Nodules often occur when the rupture in the follicle wall is very deep in the structure. Nodules often involve more than one follicle, which develops large pockets of infection. A cyst is a pocket like nodule that has an epithelial lining and a large amount of inflammation. White blood cells form a boil-like lesion that eventually ruptures. Typically, scarring is an after-effect of cystic acne. What can a licensed esthetician do for adult acne? While there is nothing that will change the hereditary factors that cause acne, even severe acne can be brought under control to the point where there are no visible lesions for long periods of time. Clients may still have an occasional lesion, but the combination of a strict home-care regimen and a plan of action with a qualified skin care professional can greatly reduce the chances of acne returning. In addition to tailoring a skin treatment for your appointment, we can help you evaluate your home care routine and environment for problems that can lead to or exacerbate skin problems. For example, over-cleansing or over-exfoliating can strip and irritate acne-prone skin, and may result in inflammation that can lead to more flare-ups. Environment and diet can also play a significant role in the cause (and resolution) of acne lesions. If you are struggling with acne and looking for answers to achieve radiant skin, schedule an appointment with us today. We will create a structured plan for you that consists of a series of professional treatments and a daily at-home regimen, and you will see improvements in your skin’s clarity and be able to maintain your desired results! Schedule your appointment online or call 702.496.2066.